Beginning on September 1, 2017, a new law in Texas will require elementary schools to notify parents about the presence of head lice in their child’s classrooms. Senate Bill 1566 states schools must notify parents within 5 days of discovering a fellow student in their child’s classroom has head lice. The law also states parents must be notified within 48 hours if their own child is discovered to have head lice. The child with head lice is not required to be identified in these notices. Schools will also be required to provide information to parents on how to treat and prevent head lice, as according to the Center for Disease Control and Prevention (CDC). It is worth noting that head lice are not known to spread disease, and head lice is not considered a medical or public health hazard by the CDC. How do the CDC general guidelines for head lice treatment compare to the professionals at The Lice Place? The CDC recommends treating the infected person(s) with an over-the-counter (OTC) or prescription medication, many of which contain potentially harmful pesticides. We respectfully disagree with this recommendation, as recent studies show that head lice now have a 99.1% resistance rate to OTC treatments, and prescription treatments of head lice are only between 70% and 80% effective. Removing head lice at home is possible, but it is often a frustrating and time-consuming process that sometimes must be repeated several times before the head lice have been eliminated. 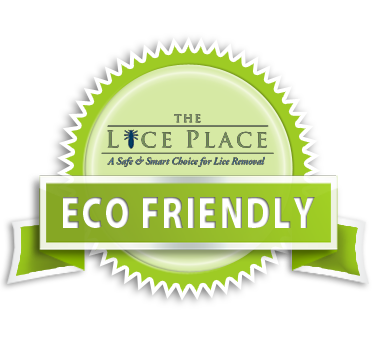 At The Lice Place, we get rid of lice safely, effectively, and efficiently in just one treatment – without the use of pesticides. We also offer a hassle-free 30-day guarantee. Our appointment times average between 60-90 minutes for girls, and 30-45 minutes for boys. If you are notified about head lice on your child or head lice on one of their classmates, don’t panic. Contact The Lice Place and schedule a head check. Many cases of head lice are misdiagnosed, and if head lice is indeed present, we will empower you with the knowledge, products, and service to make sure your child is on the way to being free of head lice in no time – guaranteed. We have several locations in Texas, as well as Alabama and Tennessee. Visit our website to find the location nearest you. The full text of Senate Bill 1566 is available here online.